Today’s Super Shih Tzu Saturday Shih Tzu of the week is Zoey! 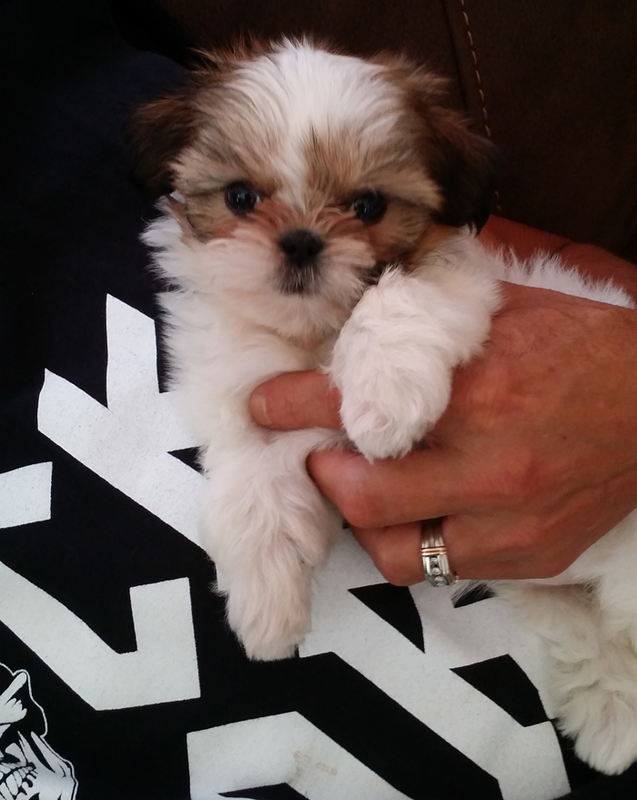 Zoey is our first baby to be nominated as a Super Shih Tzu of the week! My favorite food is cookies…for dogs of course. Mommy gives me a tiny piece of cookie sometimes for a snack. My favorite toy is a pink unicorn pillow pet that’s bigger than me. Do you have a special place you like to be, either your bed, a trip to the beach or even a secret hiding spot? Since I’m still a baby my favorite place to be is in my mommy’s arms. Do you perform any special tricks? Mommy and Daddy have seen me walk very slowly up to a toy I want and then pounce on it just like a cat. What is the funniest thing you have done to your mummy and daddy? My Daddy loves to get down on the floor and play with me. I’m teething so everything goes in my mouth right now. Daddy didn’t realize that even though I may only 1.11 lbs. my teeth could still do some damage. My biting drew blood on Daddy’s arm and hands. Yes, I have an older Shih-Tzu brother and sister. Coco is 9 and Sophie is 3. While Sophie is not so fond of me just yet, Coco and I have really bonded since I came into my new home a couple of weeks ago. He may be a lot bigger than me but I can hold my own and love playing with him. Sometimes when I lay next to him he gives me lots of kisses on my head. This last question is for your mummy or daddy. If you could talk, what celebrity or person would you sound like? Zoey was only 1.7 lbs when we picked her up from the breeder on Wed. She has gained 4 oz in just a few days. She is so tiny but is the happiest and most loving puppy. She is getting to know her brother, Coco (9), and sister, Sophie (3) (all 3 are Shih Tzu’s) and fits in our family perfectly. For being so small she has a big heart and personality. 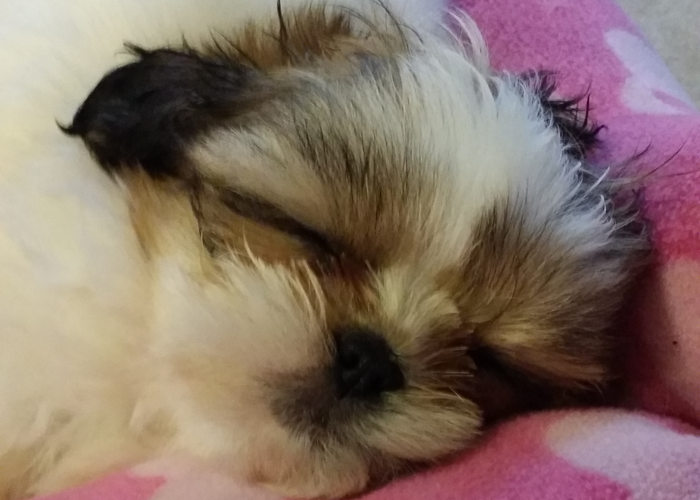 A special Thank You to Beth Lugo for submitting Zoey as the Super Shih Tzu Saturday Shih Tzu of the Week! If you would like to submit your Shih Tzu for our Super Shih Tzu Saturday Shih Tzu of the week, you can do so HERE ,– click link! Oh my gosh, she is so stinking cute! Kelsie recently posted…Which Method is Better? Oh my goodness! What a cutie!! 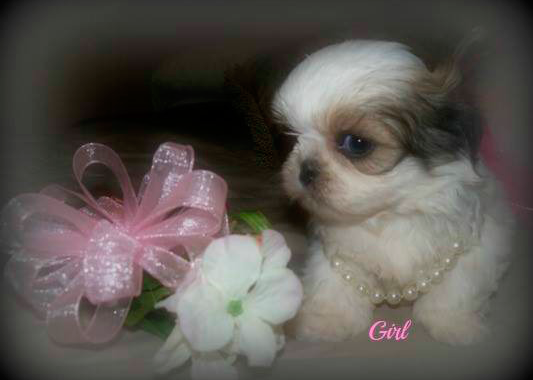 Love the idea of Super Shih Tzu of the Week. We’ll have to tell Lucky to fill out a form. Much love, The Shih Tzu Mom. The Shih Tzu Mom recently posted…It’s Independence Day! yes! Yes! 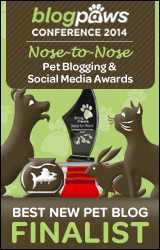 nominate your Tzu! We love to see and get to know other Tzus!! A Spaniel’s Tail recently posted…Question of the Month: Cute Habits! Kuruk recently posted…My New Bed!